The term remeshing referes to the change of mesh connectivity while retaining the overall shape of the surface. This post should give you an impression of the remeshing features of VaryLab. 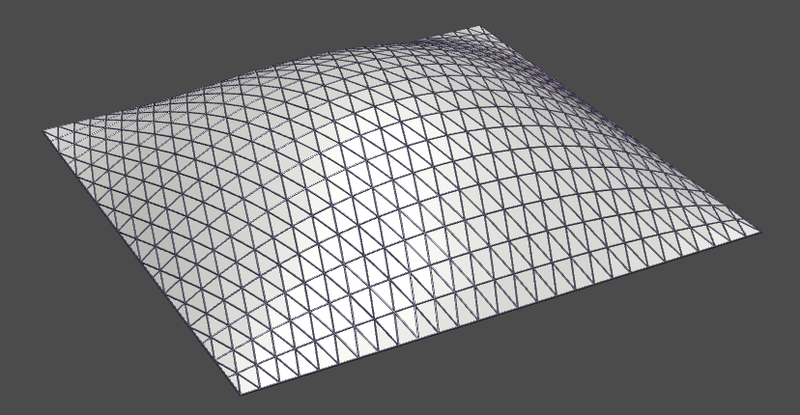 We start with a geometry that is based on a square and exhibits a "smooth" triangulated surface. This geometry is the result of a form-finding process calculating node positions for certain load-bearing conditions. 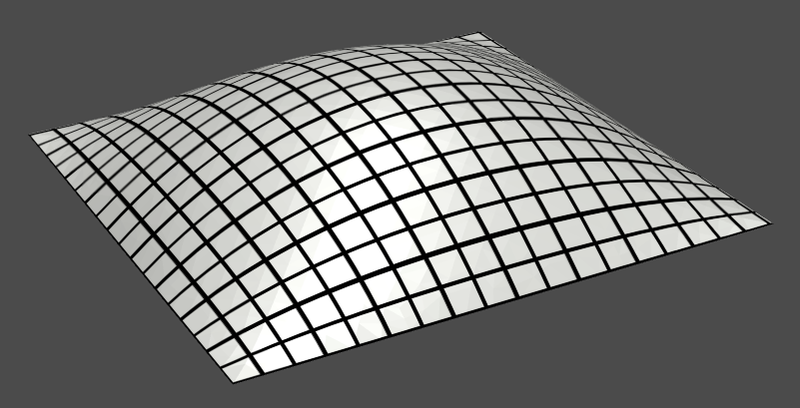 This geometry acts shell-like under some assumptions and we want to change its mesh to a quad based mesh and to a regular triangulation. You can download this model from here if you follow this tutorial step by step. The model comes readily equipped with texture coordinates so we can apply a texture image to it. 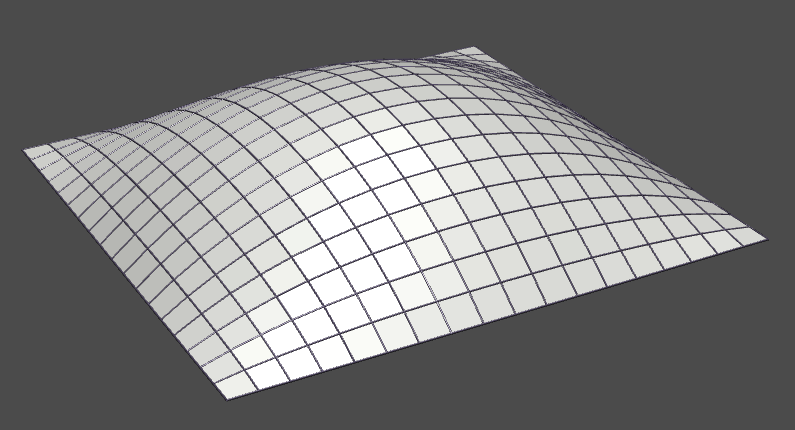 How to calculate texture coordinates is another story that can also be achieved with VaryLab. This is the topic of another post. VaryLab comes with its standard remeshing preview textures. They can be selected from the content appearance panel and are applied to all models. We use triangles, quads, and hexagons as remesh patterns. You can adjust size and rotation of the preview texture. In this example we want the new triangles, or quads to align with the boundary of the surface so we do not rotate. The next step is the actual remeshing process. 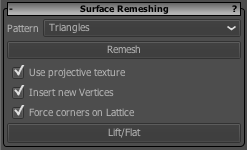 In the remeshig panel select the pattern you want to apply and hit the remesh button. For this example we choose either triangles quantized or quads quantized. This means that no chopped elements will end up at the boundary. The result of the remeshing operation is a flat mesh with the right connectivity. Press lift/flat to bring the vertices onto the target geometry. If you press this button again you are back to a flat mesh. 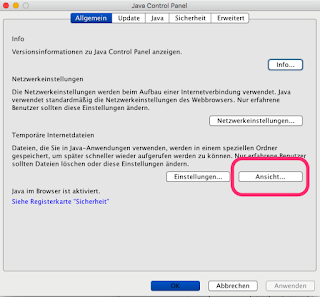 In this flat mode one can do intermediate editing steps that we do not need for this simple example. It is also possible to remesh with hexagons using the triangle pattern and an extra editing step. 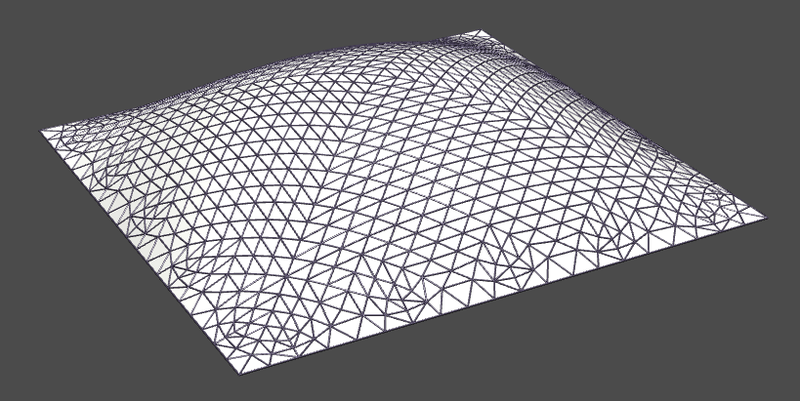 In some cases your model contains cuts and the remesh pattern has so called singularities. VaryLab has methods to cope with these situations and we will cover these advanced methods in a different post. We hope this post helps understanding the features of VaryLab a bit better. See you for the next tutorial post.